Marsabit is a massive, 6300 sq km basaltic shield volcano located 170 km east of the center of the East African Rift. Its slopes are dotted with 22 maars and 180 cinder cones, most of which are concentrated along NW- and NE-trending belts that cut across the thickly vegetated summit region. The main phase of shield construction occurred during the Pliocene. Quaternary activity shifted to explosive activity that formed maars accompanied by further extensive effusion of lava flows. 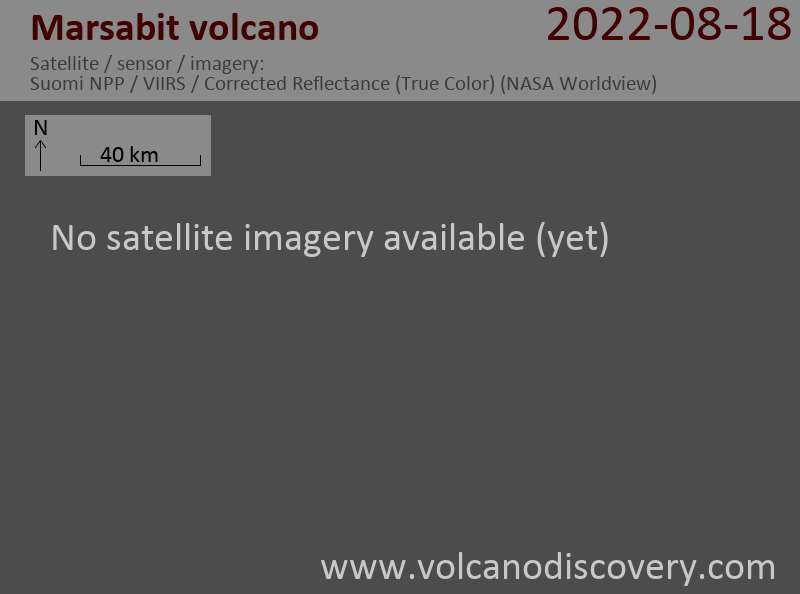 The youngest dated lava flow at Marsabit has a Potassium-Argon age of 0.68 +/- 0.16 million years ago, but more recent activity has also occurred. The youngest lava flows are unvegetated, and Key (1987) mapped the post-shield cinder cones as Pleistocene to Recent in age.